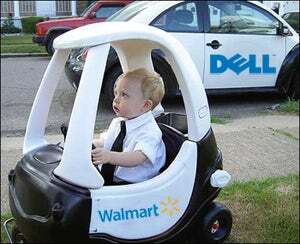 If I ran Wal-Mart and was brainstorming ideas to pump up customer satisfaction, offering Dell tech services would be near the bottom of my list. Free Snickers would probably be near the top. Anyways, you can guess which one Wal-Mart is actually going with.